The biggest learning during the early years is to be open to ideas to change, take challenges in jobs, avail the opportunities that come your way, constantly improve your learning curve, and stay focussed on the end objective. The threats confronting companies today are multiplying: new competitors, regulatory complexity, supply-chain fragility, and cyberattacks, to name a few. As growth returns to most corporate agendas, making swift decisions and identifying strategic growth opportunities are essential. Risk management is vital in a volatile economy, and the CFO’s role in managing enterprise risk continues to evolve in this dynamic environment. Rajnish Magan, CFO of Beumer India, believes that CFOs bring strong value to the table by familiarising the Board and other stakeholders with technical issues, providing nuanced insights, and sharing their risk mitigation plans. ‘The CFO is the first person to have a feeling whether the ship is sailing in the right direction or not, and if any mid-course path correction is required,’ he says. Mr Magan’s 26-year-long professional journey began as an Accounts Officer at PSU major RITES. He spent nearly 11 years handling the finance and accounting, tax and contracts functions, and also worked in Mozambique for almost a year on the revaluation of railway assets, which laid the foundation for the next phase of his career. In 1999, when Delhi Metro Rail Corporation was laying the ground for work on its first phase, RITES, together with three Japanese companies (PCI, Tonichi and JARTS) and Britain’s Parsons Brinkerhoff, secured a General Consultant (GC) contract. RITES nominated, and DMRC subsequently accepted, Mr Magan to work as a contracts and tax expert. His job involved bids and contracts management, and the supervision of all DMRC contracts. This was a watershed movement for him, given that the GC team was kept very lean. 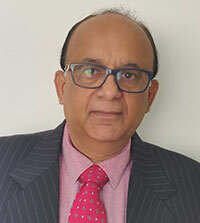 Working with foreign consultants in a multi-cultural environment, and managing the contracts and tax complexities of multi-million dollar onshore and offshore arrangements in a time-bound manner exposed him to international taxation issues around transfer pricing and permanent establishments, all while adhering to the guidelines of FIDIC – an international organisation for consulting engineers. Having managed this innings well, Mr Magan was approached by various companies in the private sector to join their finance accounting leadership team. Although he had second thoughts about leaving the public sector, he resigned from his position at RITES to join Angelique International, an EPC firm, as DGM Finance and Accounting and Commercial, in 2005. In 2007, Mr Magan got an opportunity to work with Siemens India, joining as General Manager (Business Administration) in the Mobility Division, which later became the business unit for the Rolling Stock and Airport vertical. The experience exposed him to a whole lot of global best practices in robust processes, internal controls, risk management and SOX compliance, besides the responsibility of commercial functions, including contracts and tax management. After spending five years at Siemens, Mr Magan moved to the Beumer Group in 2012, as the CFO of the India business for its two legal entities. As CFO of Beumer India, Mr Magan is responsible for the finance and accounting, commercial, legal, HR and IT functions. Beumer started its Indian operations in 2003 with BTI, which had manufacturing operations in Mumbai. In 2012, it acquired Enexco Teknologies India, which had a manufacturing footprint in North India. In 2016, both the companies were amalgamated into the Group to create Beumer India. Mr Magan actively managed the challenges associated with the India acquisitions, the amalgamation of two legal entities, and post-acquisition integration. Having worked earlier with a German major, he was a ‘natural cultural fit’, and like all German companies, Beumer relies heavily on best-in-class processes and systems. On that count, the company has developed the Beumer Group Management Systems (BGMS) across its various functions. Mr Magan has personally worked on setting up ERM processes, as well employee-friendly digital initiatives in the areas of expense management, PMS and HRMS. The one person that Mr Magan looks up to is Sushil Agarwal, Group CFO of the Aditya Birla Group, who he admires for his humility and his successful execution of M&As that took the Group to the next level. At the end of the day, Mr Magan unwinds by spending quality time with friends and family. His daily workout regime keeps him fit, and helps manage stress effectively. Rajnish Magan has over 26 years of professional experience, including 7 years as CFO at Beumer India. He previously worked with Siemens, Angelique International, DMRC and RITES. Mr Magan holds a certificate in strategic leadership from IIM-Ahmedabad.